The International Customer Management Institute (ICMI) held its annual Global Contact Center Awards party this past May. Gopher Sport won the 2018 award for Best Small Contact Center. (Contact centers with fewer than 75 agents are eligible.) It specializes in selling sports equipment to schools for physical education and athletic programs and prides itself on friendly service. The company is a client of mine and I've been consistently impressed with the customer care team and it's commitment to service. Beth Gauthier-Jenkin, Gopher Sport's Vice President of Customer Care, shared some insight into what makes her team so special. Q: What is Gopher Sport’s customer service vision? "Our CEO established the service vision about 5 years ago, which is to 'be the easiest company to do business with'. "Our plain-language vision has served us well because its meaning is clear. As a company, we often use it in day-to-day conversations as we’re making decisions, asking each other: 'Does this direction, decision, etc., make us the easiest company to do business with?' Sometimes the answer is 'no,' and we have to rethink our plans." Q: What do you believe sets your contact center apart in winning this award? "We’ve had a customer-focused mindset for 70+ years. "Our previous CEO, now Chairman of the Board, Joel Jennings, instilled a deep sense of customer commitment in our organization before differentiating with customer experience was the hot topic. "Company DNA aside, we’ve gotten good at balancing most aspects of contact center effectiveness. We’ve recognized the diverse gifts, skills, and aptitudes within our team and aligned them with key areas of performance and leadership. We’ve been able to lead, coach, and educate team members well. We’ve optimize resources through workforce management. We’ve used continuous improvement and performance management methods effectively. Many wins in these varied areas due to this diverse group of gifted people. "Lastly, we’re committed to continuous learning. That’s why we’ve soaked up so much knowledge from you Jeff!" Q: How has the rest of the organization supported the contact center (and vice-versa)? "The entire organization supports our Unconditional 100% Satisfaction Guarantee. "Unified support of this customer-focused philosophy, although the right thing to do, isn’t always easy on other teams. For example, large returns and product replacements can be negatives for our Product teams when it comes to maintaining margin targets. Our Quality team works to minimize quality issues and returns, but when customers can return product for any reason, at any time, this can be difficult. So as a company, we recognize and support the greater good, which is taking excellent care of our customers, versus maintaining team standards and KPI’s. "The contact center supports others in the organization by working to balance customer needs with business needs. For example, we’ve partnered with our Distribution Center to help balance their workload when it comes to order fulfillment. If we only complete order entry after inbound calls and emails are handled, they’d have no orders to ship until 2PM each day. We continuously look at how what we do impacts others and balance the best interest of the customer with business needs, when possible." Q: What are some challenges you are working on now? "We are really interested in ensuring customer insights and feedback are communicated across the organization to keep improving the experience. "In the past, we’ve sent information to other teams in hopes it’s digestible and actionable, with little success. This is our biggest challenge right now. We have to find ways to ensure the customer is heard, across the company. It seems like this should be easy, unfortunately, technology limits and resource constraints sometimes get in the way. We have to figure this out! "We also continue to focus on attracting and retaining talented team members. The insights you’ve provided on an improved approach to onboarding and training our newest team members has been a game-changer. Modifying our approach has helped us take better care of these hard working people who want to be successful. This will continue to evolve. We have to keep improving in this area so we have the best people caring for our customers." 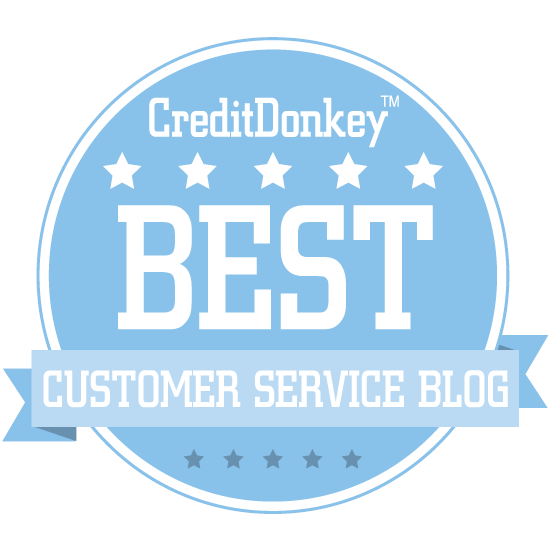 Q: How has the customer service assessment we did helped your contact center? "This could be an entirely separate discussion! "It helped us understand our strengths and opportunities in such a clear, straight-forward way. Considering how we grow and improve can be overwhelming, so the prioritized list provided in the assessment was key. The assessment also provided a clear line of sight to key areas which ensure we’re aligned with our service vision. "In areas we’re missing the mark, the assessment gave us practical, easy-to-implement action items so we become better aligned with the vision. The focus on hiring for culture fit is our biggest priority, and implementing your suggested improvements will continue to yield positive results and transform how we hire." Winning this prestigious award was a big achievement for Gauthier-Jenkin and the rest of the Customer Care team. What's most striking is they aren't about to rest on their laurels. The entire team is focused on continuously building its service culture. Do your 2015 plans include working on customer service? Many companies have service on their radar. The challenge is knowing where to get started. Do send your customer service reps through training? Perhaps you should invest in new technology? Will a new incentive program energize the team? A great way to begin is by assessing where your team is now. A good assessment compares your team’s current performance to where you want to be and provides detailed recommendations for closing the gap. 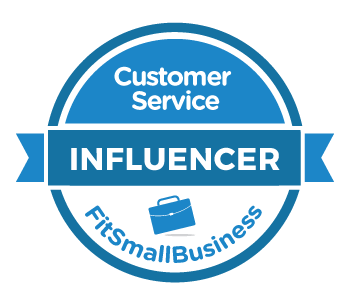 It allows you to save time, focus resources, and get better results from your customer service initiatives. For example, a call center wanted to reduce the number of calls they sent to an outsourced call center. The third party call center gave them flexibility to handle spikes in contact volume. The trade-off was they could offer better service at a lower cost when they kept calls in-house. A customer service assessment revealed some low-hanging fruit. Within just one week, the call center was keeping 50 percent more calls in house. It’s hard to find something if you don’t know what you’re looking for. That’s why the first step in any assessment is defining what good service should look like. On a strategic level, this involves defining outstanding service for your team by creating a customer service vision. On a tactical level, this means defining what is supposed to happen for a certain process or interaction. Examples include establishing service standards, procedures, or contact guidelines. The next step is to select the assessment that best fits your needs. Large-scale assessments take several weeks to complete but offer an in-depth review. For example, ICMI offers an operational assessment for contact centers that takes a holistic look at the entire operation including management, employees, and technology. The time and expense of a large-scale assessment might be a bit much for many smaller organizations, but there are less-expensive alternatives available that are still very effective. The Toister Performance Solutions onsite customer service assessment focuses solely on employee performance. It takes less than a day to complete, and you’ll have a detailed written plan the next business day. If you prefer to try the do it yourself approach, try using the Customer Service Alignment assessment for a strategic view of your operation. You can also use the Quick Fix Checklist to hone in on the solution to a particular problem. An assessment isn’t worth your time if you don’t take action. There are many reasons why companies don’t take action after an assessment. Comfort level with the findings, the strain of other initiatives, and a lack of focus can all play a role. It’s important to approach customer service assessments with an open mind. After all, why conduct an assessment just to tell you something you already know? The whole point is to look at things from a different angle. It’s also imperative to conduct the assessment at a time when it will have your full attention. Assessments can be a powerful tool for improving customer service. That’s why they’re number three on my list of ways to take service to the next level. Incidentally, training is all the way down at number seven.